I’ve recently read Truth That Sticks, and have a review posted on my book review site. If you enjoy reading free books, check out Nav Press! Click on the picture or on the link above to check out my blog!! Leave a comment on either site, if you are interested in receiving a free copy! When I post my next review, I’ll randomly select one person to send my copy, at no cost to you! INCENTIVE!!! and sharing the looove. because of my wonderful mark. girls, i’m one of the top sellers for last week ♥. To share the love, the NEXT order from my eboutique will get a free goody bag (from me) with an order over $30, AND free shipping by using MARKFS25 coupon code! ♥… this is the PERFECT time to do some Christmas shopping! I’ve recently read Amy Inspired, and have a review posted on my book review site. If you enjoy reading free books, check out Bethany House! Click on the picture or on the link above to check out my blog!! Be a fan of mine on facebook, okay? 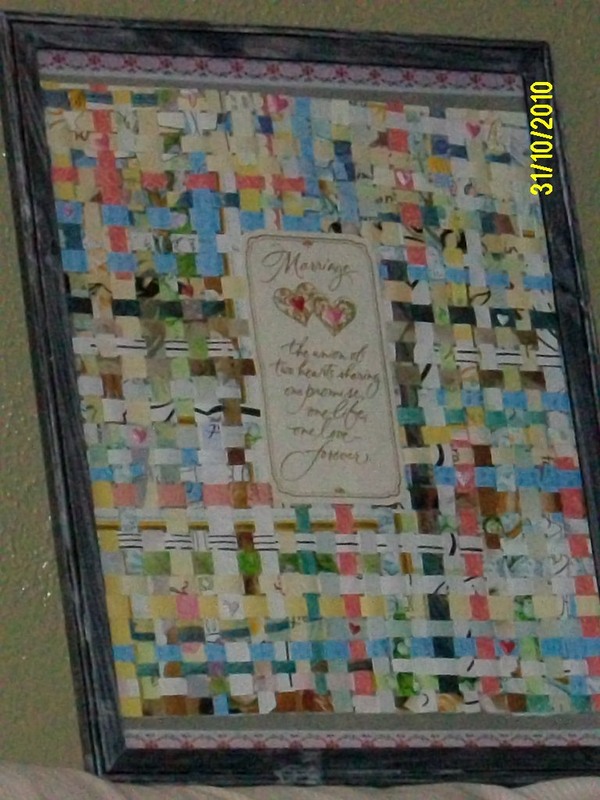 I “Wuv” My Woven Craftyness….